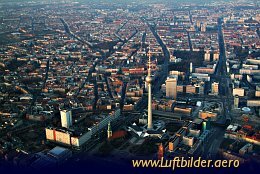 Berlins famous landmark - the Fernsehturm. The Statue of Victory (Goldelse) was erected as a monument of the victory in the Prussian-Danish war (1864). 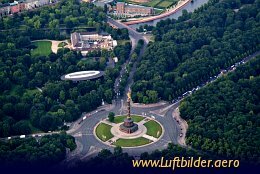 After more victories followed, a 83m statue of the godness Viktoria was put on top, which was baptised ''Goldelse'' by the Berliners. 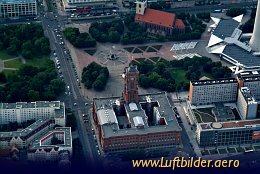 In the background the ''Bundespräsidialamt'' and Bellevue Palace (Seat of the German President).